Just like humans, trees do age. And as they grow older, they become more prone to wood decay, bacteria, infections and other defects. When trees get older, they decline gradually. They also slowly fall apart. At Your Way Tree Service, we offer tree structure evaluation service that can help you spot problems before they can cause possible damage to your property. As part of evaluating the tree structure in your land, we provide a plan that can further prevent harm to your land. Our tree structure evaluation service is available throughout the Greater Los Angeles Area. 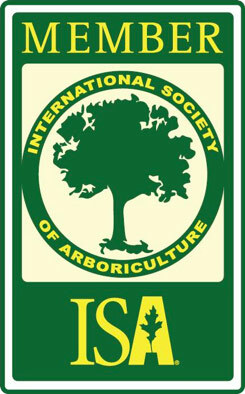 Your Way Tree Service has ISA certified arborists who can spot possible tree problems as they evaluate the tree’s structural integrity. To reduce the risk of stem, branch and root failures, they can provide you with necessary treatments. Our team of certified arborists is highly trained and experienced in identifying symptoms of decay and other tree defects. Although there are tree defects that are pretty obvious through visual inspections, there are defects that require thorough inspection and assessment. To achieve that, we use state-of-the-art instruments that can evaluate the tree’s density and its quality. In this way, we can properly evaluate the severity of its problems. The evaluation of your tree structure will be performed by our certified arborists. We’ll also send our team of highly-trained professionals to help your property maximize the beauty and health of the trees present. You don’t need to worry about insurances as our company has a comprehensive liability insurance and workers compensation insurance. If you wish to have insurance certificates and coverage, please give us a call and request for it. For more than 20 years, our company has been evaluating various trees. During our evaluation, we utilize the right equipment to properly give you tree structure assessment. If necessary, we’ll remove weakly attended branches or hanging branches. We’ll also remedy cracks and splits, as well as poor architecture of your trees and plants. Those dangerous trees in your property will be safely removed by our team upon your approval. We have our own efficient removal and chipper equipment to do that job for you. Apart from that, we’ll also handle your property’s ugly old stumps. We won’t start the treatment until you agree with our plan. We won’t insist. We’ll listen to your concerns and address the issues.